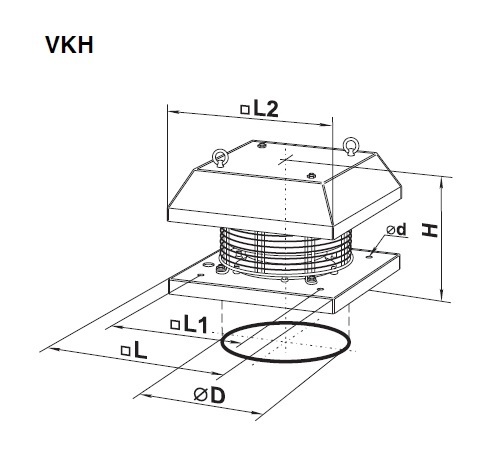 VKH roof fans with horizontal air discharge are used in exhaust systems of various types of rooms. The casing is made of steel with a polymer coating. The fans use two, four and six-pole, single or three-phase asynchronous motors with an external rotor with backward curved blades. 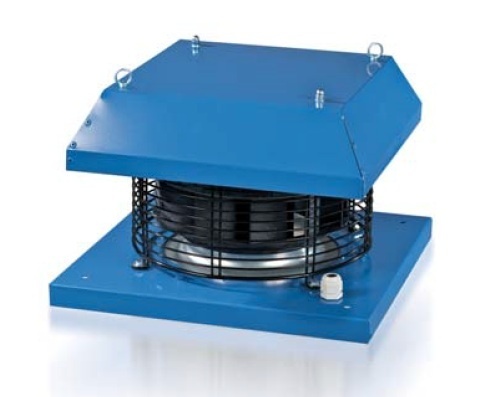 The fan is mounted directly on the roof surface or on an insulated or damp roof base set directly above the ventilation duct.